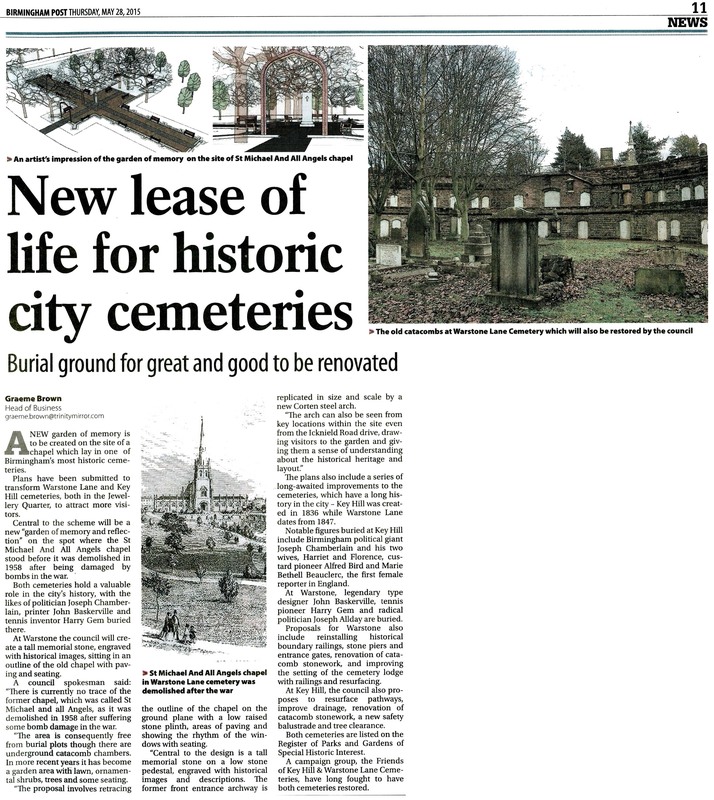 The announcement, in the Birmingham Post 28.05.15, of plans for the restoration and transformation of the Key Hill and Warstone Lane Cemeteries. In due course we will start fund-raising for the restoration of Harry’s grave. This entry was posted in Grave - Harry Gem. Bookmark the permalink.